An irresponsible junior guard called Philip fails to notice Whiplash sneaking into the palace grounds to steal the King’s Ice Raider. He-Man stops Whiplash just in time, but King Randor relocates Philip to the Eternian Weather Station to improve his responsibilities. 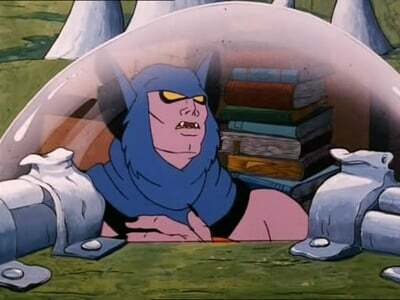 Skeletor, determined to get hold of the Ice Raider, consults his agent in the North, Icer, and orders him to take over the Weather Station. Icer has no trouble in taking over, and before long weather disasters are occurring all over Eternia.